Myanmar is building its telecommunications infrastructure, involving international mobile companies and complex regulatory reform: an unprecedented process requiring corporate social responsibility that will support digital rights and may finally secure freedom of expression for the country. In 2011 the International Telecommunication Union (ITU) reported an internet penetration rate of 0.98% and 1.3 million mobile subscribers (representing 2.3% of the population), to the only mobile company active in the country; it, together with its subsidiaries, is controlled by state-owned Myanmar Post and Telecommunications (MPT). However, during the last two years of political reform, the situation regarding connectivity is thought to have changed radically. Travelling in Myanmar is at the moment the most blatant way to realize that the official data available about internet infrastructure and mobile penetration in Myanmar is probably far from the observed reality. Internet and Open WiFi are broadly available in cities like Yangon, Bagan and Mandalay, where mobile phone shops are also multiplying rapidly. Ultimate generation Smart Phones are increasingly used and fully operative thanks to an expanding 3G network covering urban as well as some rural territory. The lack of recently updated and reliable data, however, prevents a clear idea of the developments of telecommunication infrastructure currently taking place. What is sure is that Myanmar has just started to develop its connectivity and the list of challenges is certainly long. From an infrastructural perspective, implementation will involve the vast rural territory between armed groups controlling parts of the territory, as well as the significant presence of landmines. This makes remote parts of the country even more inaccessible, increasing the challenges of building any type of infrastructure. At the same time, the infrastructural challenges must go together with telecommunication and regulatory reforms. 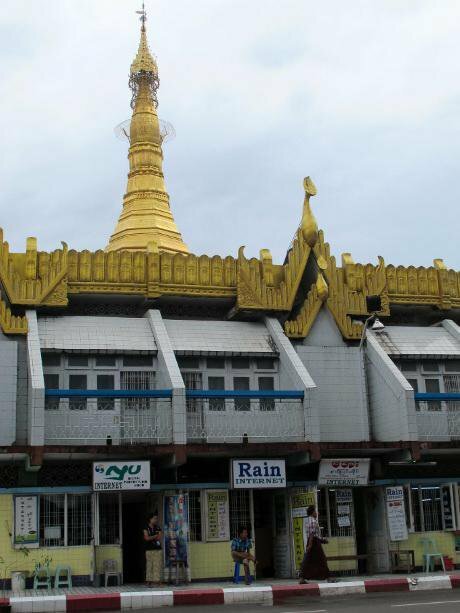 The most evident result of the recent changes in the telecom sector in Myanmar occurred in June 2013, when the government opened its internal telecommunication market to international operators with the goal of enhancing the country’s connectivity. Among the more than 90 companies tendering for the license, the government awarded two new mobile phones licenses to the Qatari mobile company Ooredoo and the Norwegian Telenor. Together, Ooredoo and Telenor have committed to connecting 90% of the territory over the next 5 years. However, so far neither mobile operator has received their license due to the lack of a new national telecom law, which is a key priority and currently under preparation. Increasing connectivity in countries characterized by political uncertainty may certainly offer support to citizens to strengthen bottom up networks of cooperation. We must not however forget that more connectivity also has the potential to expose citizens to new threats of surveillance and control and that telecom companies may play a part in this. It might be an unwelcome reminder that Ooredoo has in the past pleased the Qatari government’s internet censorship request by blocking Voice over Internet Protocol (VoIP) – Skype services in the country, and by using internet filters to block websites considered inappropriate for the “national morality and costumes”. On the other hand, the Norwegian company Telenor is already active in the region, including in Bangladesh, India, Thailand and Malaysia; in Myanmar they have the opportunity to demonstrate their social responsibility as accumulated through their regional engagement. The development of telecom infrastructure ought to happen through respect for human rights, notably freedom of expression and the right of citizens to protect their privacy. Developing connectivity goes together with the implementation of a regulatory framework that will ensure citizens’ freedoms to use this connectivity. With this in mind, the fast development of telecommunication infrastructure in Myanmar must be watched keenly. In the Human Rights Watch Report (2013) “Reforming Telecommunications in Myanmar: Human Rights and Responsible Investment in Mobile and the Internet” the shift in telecommunication policies, the on-going investments in developing digital infrastructures and the increasing interest and involvement of international companies in Myanmar, calls for careful evaluation of telecommunication policy development and of the potential consequences for digital freedoms. Also in the context of internet governance, private companies are usually heralded for having a positive influence on the regulations of online freedoms. As such, the current situation in Myanmar, whereby international companies are developing connectivity infrastructure in parallel with the process of developing relevant laws and regulations, is an extremely interesting and important process to be carefully followed. As a part of the transition currently taking place, the government has opened up a process to facilitate a public debate on new regulatory laws, aiming to ensure a free and open telecom market. The new law has been drafted and published online in both Burmese and the English languages for a public consultation process that remained open for about 30 days, between November and December 2013. The consultation facilitated the submission of comments on the law from both national and international telecom companies, civil society organizations, and even foreign governments, and there is now high expectation for the release of the final version. This is no small feat: after years of autocratic regime, this transparent and inclusive process opens up new spaces for dialogue between governments, citizens, and international companies, and the debate on internet freedoms in Myanmar has clearly just begun. Myanmar is in transition and a window of opportunity is open for ensuring that the development of its telecom infrastructure will go hand in hand with implementing freedom of expression. Both Ooredoo and Telenor will be held accountable for this double responsibility: on the one hand they are called on to develop telecommunication infrastructures, and on the other hand, they should play a key role in ensuring that this will go together with the design of a new regulatory policy agenda that prides itself on removing limits to freedom of expression and enhancing digital freedoms in the country. In the coming years, Myanmar has the opportunity to ensure real and sustainable change. 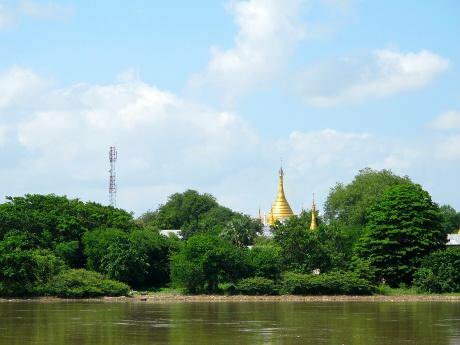 If Ooredoo and Telenor properly address their double responsibility, we should look at connecting Myanmar as indeed an opportunity – rather than a threat – and even an important tool to ensure positive change.